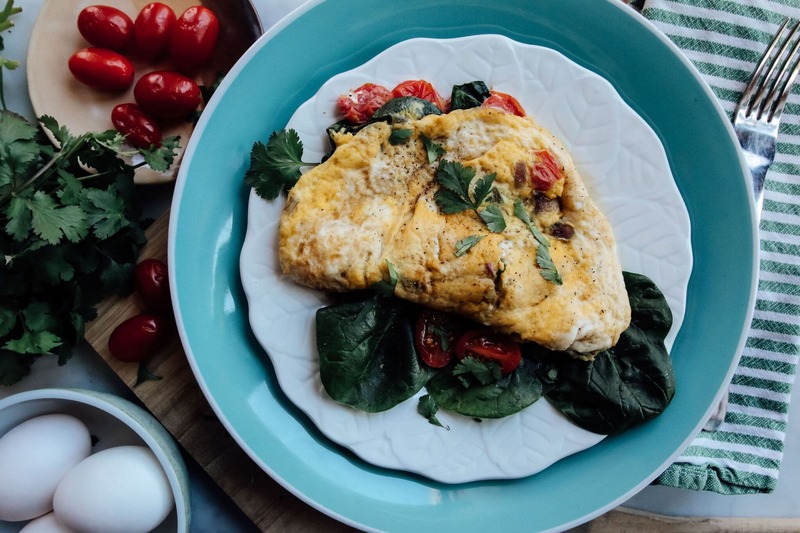 We know you’re busy and that sometimes it can hard to mesh your hectic lifestyle with healthy eating, that’s why we have put together these quick and easy paleo diet breakfast recipes. 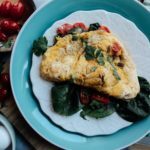 The biggest issue people run into while eating paleo is finding good paleo diet breakfast recipes that aren’t made just of eggs. Sure, eggs are great, but there are a whole load of other options available to you if you’re fed up of eggs. The best paleo diet breakfast recipes are both delicious AND simple. They don’t require the skills of a molecular gastronomist. 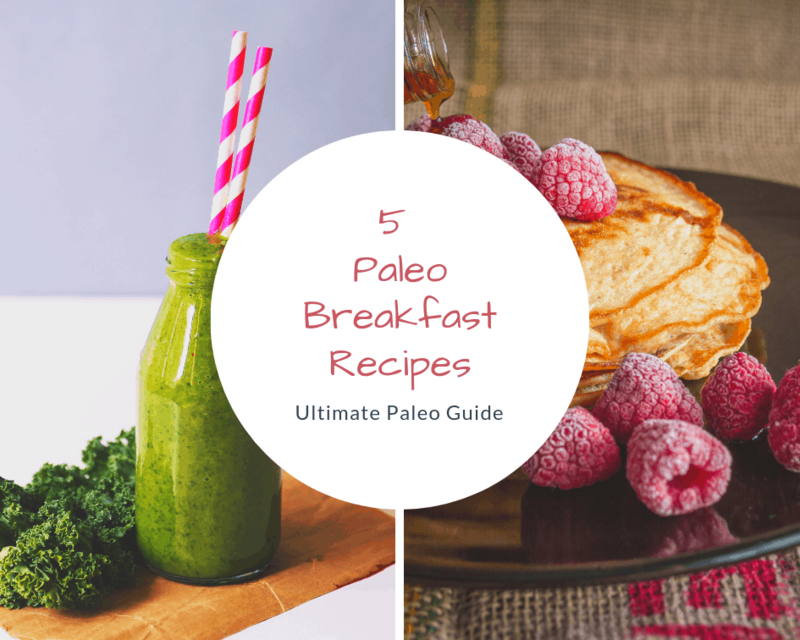 That’s why we’ve put together this list of five quick and simple paleo diet breakfast recipes that you can use when you’re in a hurry. If you want, you can even enjoy these meals at any time during the day (because, let’s be honest, any time is a good time for breakfast). 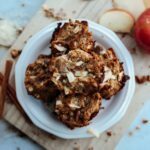 I know you’re hungry, so, without further ado, here are five great paleo diet breakfast recipe ideas. This omelet is easy as can be and filling too. You can use whatever fillings you like inside – garlic, onion, greens, bacon, sausage…whatever your heart desires! As the edges around the pan begin to harden first, use your spatula to flatten them out. While doing this, also turn the pan to make the runny center part of the eggs move outward to the corners to cook as well. Everyone loves muffins, but the traditional recipes that most people use are far from Paleo friendly. 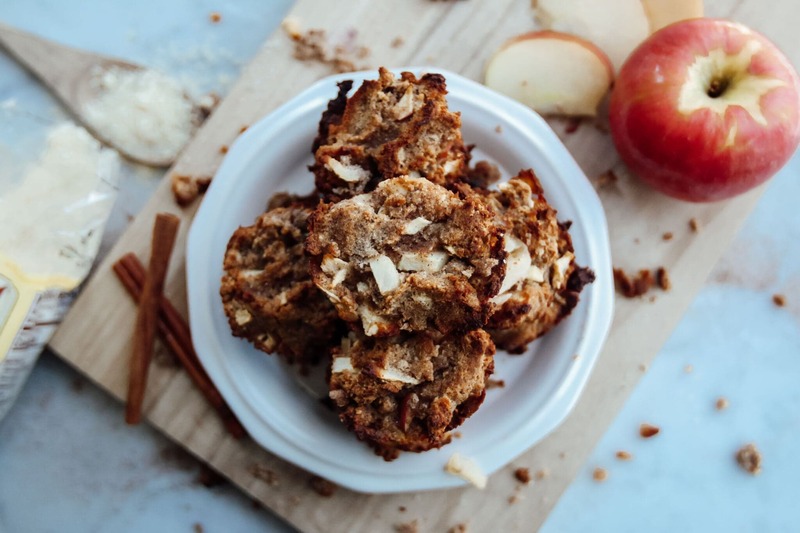 This easy and delicious recipe below will satisfy your muffin craving, while still staying primal. Take large mixing bowl and add flours, cinnamon, and baking soda. Mix well. Once mixed, add apples, eggs, honey, and coconut oil to mixture and mix well again. Prepare muffin tin with liners and add batter. Place tin in oven and bake for 30 minutes, or until done. Enjoy once they cool off or you lose your patience while waiting. Breakfast foods do not get more classic than pancakes. 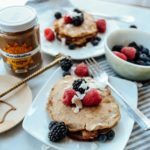 If you eat Paleo, but are missing the old days when you would put away a tall stack of pancakes at breakfast, let this perfect recipe bring you back. 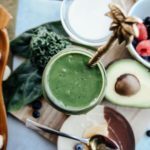 A green smoothie may not always look like the most appetizing thing in the world, but they are packed with great nutrients and are delicious as well! Try one today if you haven’t before and be pleasantly surprised. Hash browns are a breakfast classic! Unfortunately, regular potatoes are usually used in the recipe. 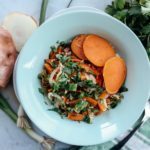 To spice things up a bit and make this recipe Paleo friendly, just switch our regular old potatoes for sweet potatoes and you’re good to go. You don’t have to stop here though. We’ve got literally hundreds of paleo recipes for you to try here on Ultimate Paleo Guide. You can also check out our monster list of 101 Paleo Breakfast Ideas if you’re still desperate for more breakfast ideas. Whatever you do, make sure you let us know what works for you. We love hearing which foods and recipes you’re eating. We love hearing that more people are discovering that paleo can both feel and taste great! 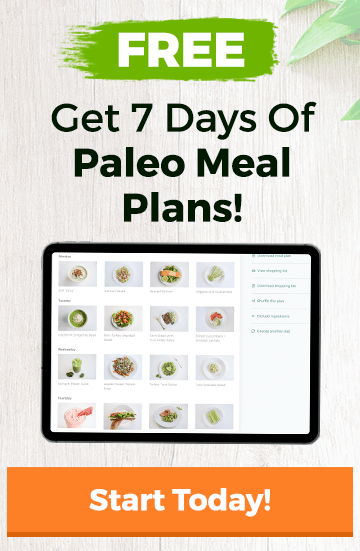 If you still can’t get enough recipes, check out the Paleo Recipe Book or the very popular PaleoHacks Cookbook. Try these recipes and tell us what you think! My husband ( 80) and I ( 64) are seniors, self taught in basic computer skills for we were raised in a different era and country.. We only use bound cookbooks, that cab sit on the counter also for when we need to hire some help. Everything in E-format, does not work doe everyone in the population yet. I would live to have these books, but not id I have to print out hundreds of loose sheets. Thank you for listening to the needs of of some of us! We try to keep things priced very affordably. Because of this, we’ve found digital products are the best way to distribute the cookbooks & products we create. There are lots of great cookbooks on amazon that you can checkout if you’d like to have some physical. An omelet can take <7 minutes to make. Are you looking for something faster than that? Hi Maggie, I’ve struggled mostly with the paleo breakfasts as this is the meal most of us have been brought up having toast or cereal. The only thing I’ve come up with is making up some muffins when I do have time they can be sweet eg carrot & sultana or savoury egg & bacon. You can freeze and just take out the night before so you can have more variety or they will keep for a week. They are really nice heated up in winter! Hope this helps. I never realized how much damage I was doing to myself until I switched to clean eating the paleo way. Thank you for helping me eat healthier with these awesome recipes…I love paleo! I need to lose 20kg and pale sounds great. Will I still lose if I have raw milk,raw milk kefir and kombucha? what can I eat on a typical day? I have been doing the Paleo plan for 1-1/2 weeks. I lost 2 pounds and feel good. The only thing is that I can’t afford to buy grass feed meat, organic egg and produce, I buy what I can. I mostly buy non-organic foods. I have notice that I have less body pains. Three years ago I broke both my legs (fell off a latter from 1st story house). I always have to take some kind of OTC . Since I have been on the Paleo Plan my leg pain has reduced significantly I have not taken any Ibuprofen in the past 5 days. (also my hart burn has gone away). The only thing that I’m concerned about is the BPA in can foods, like salmon, sardines, tomato paste, canned tomato, etc. In other countries they ban BPA & GMO’s in this country they don’t because of profit Profit is first, people are second. I have discovered Yucca in place of potatoes. Great addition. Doesn’t make us sleepy like Yukon Golds did. You have to parboil first or use in a stew, crockpot,etc normally. I have used them as hash browns instead of potatoes. No particular flavor of their own. Himalayan salt and fresh cracked pepper make them awesome. Don’t know if they are paleo correct or not. But, eliminating all starches, beans, quinoa (my fav). Adding back meat (was a miserable vegetarian), veggies and large cabbage (red/green) salads has made a big difference. No bloating, swelling, tiredness, sluggish. Energy is fabulous! Also, use kelp noodles in place of pasta in thai and stir fry dishes. It’s kelp! I studied the eat right for your blood type diet years ago. Ours is hunter/gatherer. Which is right in line with paleo. It’s easier now than it was 20 yrs ago to eat right. I make 100% of all of our meals.